Weapons and detectors remotely controlled from the seabed, highly intelligent drones capable of rapid and precise reactions, as well as bionic devices. These are just a few examples of the submarine arsenal that the Chinese will present in the coming years, “before a crisis develops into a war,” according to the Chinese Army daily. 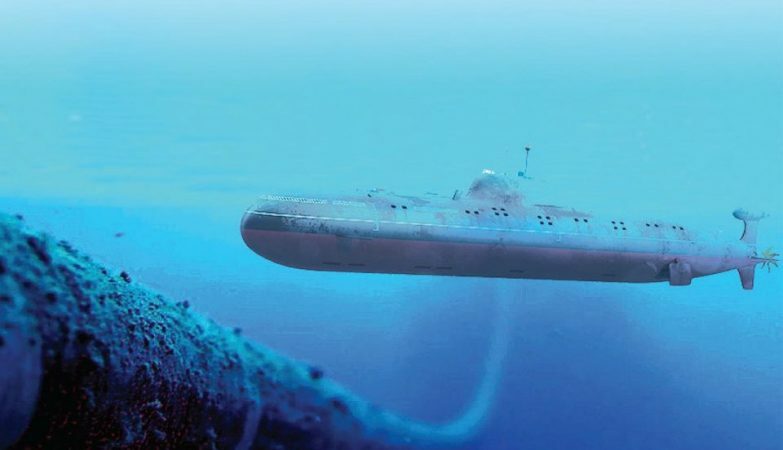 China’s Armed Forces are preparing for an underwater war against the United States in an attempt to ” seize maritime supremacy, ” that is, arm itself with cutting-edge submersibles, according to the People’s Liberation Army (PLA) newspaper. According to the report, China is currently concentrated in unmanned submarine vehicles capable of conducting secret attacks, as well as networks of sensors organized in the sea bottom undetectable by satellites. The Chinese are alleged to create intelligent submarines without the need for human control to function. China’s strategy, “by ambushing submarine robots, intelligent” ghosts “weapons and bionic fish-like devices,” goes on to shape a system of network operations, the text says. “Before a crisis develops into a war,” ghost “weapons can be deployed in advance, submerging beneath the surface of the sea or peering deep into the seabed under a strategic maritime channel or a maritime strait that would certainly be used by opponents, “the newspaper said. The report also explains that the strategy focuses on developing a self-conscious weapon with “brain cognition” ability that will help process masses of underwater acoustic signals and visual images. The publication included an interview with the Marine Technology Equipment Head of the Shenyang Institute of Automation of China, Lin Yang, which confirms the work done on a series of UAVs, or XLUUVs, to rival similar programs in the United States. The paper makes it clear that the strategy focuses on protecting the South China Sea, whose sovereignty is questioned by neighbours and the United States. Last June, a brand new Chinese underwater vehicle (AUV) made the headlines of the local media by diving deep into the South China Sea, covering a distance of almost 160 kilometres. Built by the same automation institute, the so-called Qianlong III, it looks like a cartoon clownfish, but there is an incredible capacity behind the appearance that experts say can expand the original set of research missions for war and even for mining underwater.